Jungle Island was known for most of its 75 years of existence as Parrot Jungle and for most of those years has been one of the most popular Florida tourist attractions. The original attraction was founded by Austrian born Franz Scherr. Franz had the idea of creating a tropical paradise where the birds could roam free with no cages at all. People thought Franz was crazy and predicted that the birds would fly away. 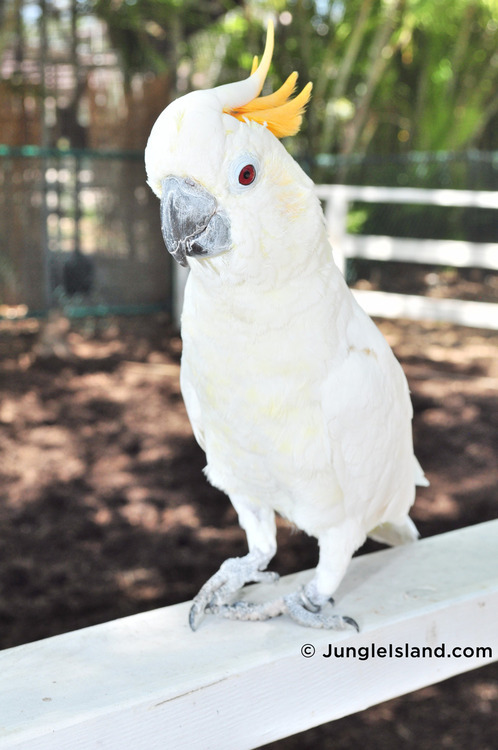 Franz had more faith in birds and started Parrot Jungle on 20 leased acres south of Miami. He created trails through his hammock land and left the natural vegetation untouched. He built a small ticket and entrance building on Red Road. In December, 1936, 100 visitors paid 25 cents each to visit the opening of Parrot Jungle. It instantly became one of the most loved Florida tourist attractions in those pre-Disney days. Franz died in 1973 and Parrot Jungle moved to Watson Island in 2003 and was renamed Jungle Island in 2007. It is now the home for 2,000 different varieties of tropical plants and 1,100 tropical birds. These birds "fly free" every day. If you are in Miami for your Florida vacation, then this popular Florida tourist attraction is a great place for the family to relax among a tremendous variety of flora and fauna. If you’re an animal lover you’ll be delighted with the hundreds of animals ranging from ferocious big cats to smaller creatures in the reptile house. Jungle Island itself is an exciting world of creatures, offering the opportunity to see fish, reptiles, birds and mammals in one location. If you are eager to see big cats then there is no better place to visit than the Jungle Theatre which hosts the Tale of the Tiger show. Here you’ll discover not only four different Tiger colors, but Lynx, Black Panthers and many other large cats. Another must is visiting the Liger Habitat which is home to Vulcan, a tiger and lion mix who stands over 11 feet tall on his hind legs and weighs 900 pounds. This incredible beast is not thought to exist anywhere in the wild because lions and tigers do not share the same habitat, and so, for big cat enthusiasts, he is a sight not to be missed. Aside from the big cats, the attraction also has a great range of other venues and shows, including Parrot Bowl’s Winged Wonders show featuring macaws, cockatoos and other parrots from across the globe. Pinky, the cockatoo, is worth visiting before the show too so you can enjoy his antics on a high-wire bicycle ride. The Manu Encounter will offer you the chance to see the sights of Peru. The exhibit is landscaped to look like the Manu cliffs. Here you’ll see squirrel monkeys, parrots, macaws and other native creatures. Meanwhile, the Serpentarium is home to snapping turtles, snakes, alligators, lemurs and even penguins, and should not be missed. Another huge bonus of this place, unlike many Florida tourist attractions, is that it is open 365 days a year. It also has its own private beach, known as La Playa. You can relax under beach umbrellas while the children play in the bounce house and water slides. If you’re vacationing in Florida then this is a must see attraction that will allow you to see something a little more than the ordinary wildlife park. You can easily make an entire day out of it, and after seeing Ligers, feeding parrots and enjoying a private beach, you’ll have memories forever. The attraction is located between downtown Miami and Miami Beach and is easy to get to. Parking is easy and inexpensive. There is also public transportation available via Miami-Dade transit, though driving a car is easier since you can take your belongings with you and come and go at your own convenience. Call 305-400-7000 for operating hours. 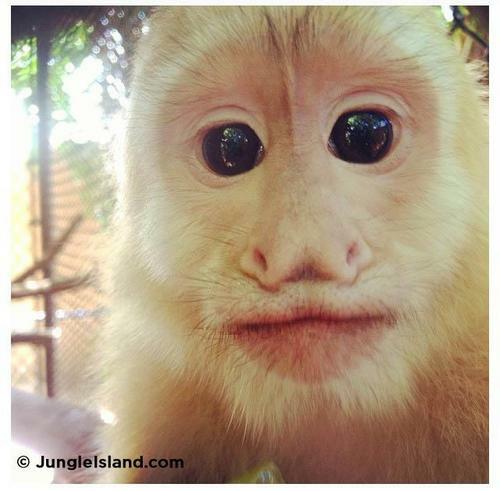 Jungle Island is located at 1111 Parrot Jungle Trail, Miami, Florida 33132.